Para realizar un punto de bordado es muy importante fijarse en cómo y dónde colocar el hilo y la aguja. 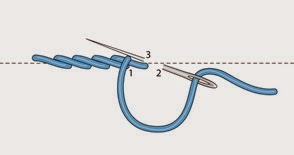 To make an embroidery stitch is very important to keep in mind how and where to place the thread and the needle. Debemos fijarnos en ello al mirar el esquema del punto, teniendo en cuenta que suele mostrar todo el movimiento necesario para hacer el punto, de manera que aparece como se trabaja en costura y no como lo hacemos en bordado, donde empleamos bastidor, por lo que se hacen dos pasos: uno con la mano derecha, que se encuentra sobre el bastidor, y otro con la mano izquierda, que está debajo. 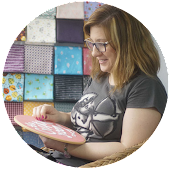 We must focus on it when looking at the stitch scheme, considering the fact that usually is shown the whole necessary movement to make the stitch, so that it appears as employed in sewing and not as we do in embroidery, where we use a frame. So, we will do it in two steps: one with the right hand, which is placed on the frame, and other with the left hand, which is below. 1. Salir por el derecho de la labor: es lo habitual, introducir la aguja por el revés del bordado y sacarla por el derecho. 1. To go out by the face of the needlework: this is the usual, to push the needle through the reverse of the embroidery and pull it by the face. 2. Bordar de derecha a izquierda. En el esquema, el bordado ya realizado queda a la derecha de la aguja. 2. 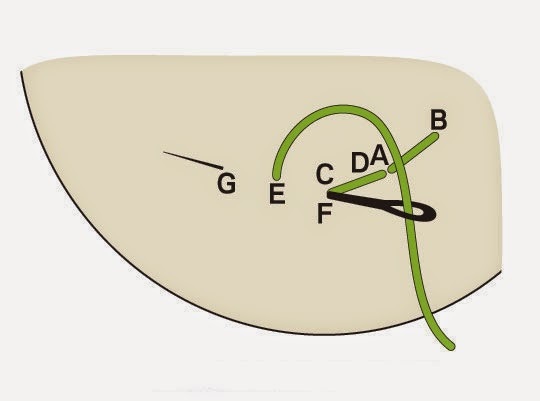 To embroider from right to left. 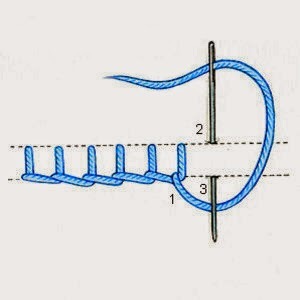 In the scheme, the embroidery already made is at the right of the needle. 3. Bordar de izquierda a derecha. En el esquema se ve el bordado a la izquierda de la aguja. 3. 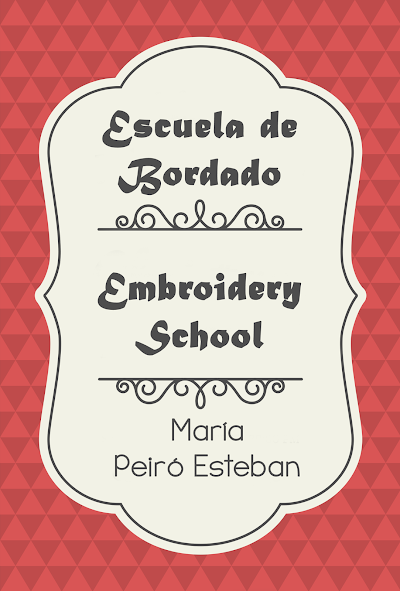 To embroider from left side to right. In the scheme you can see the embroidery to the left of the needle. 4. 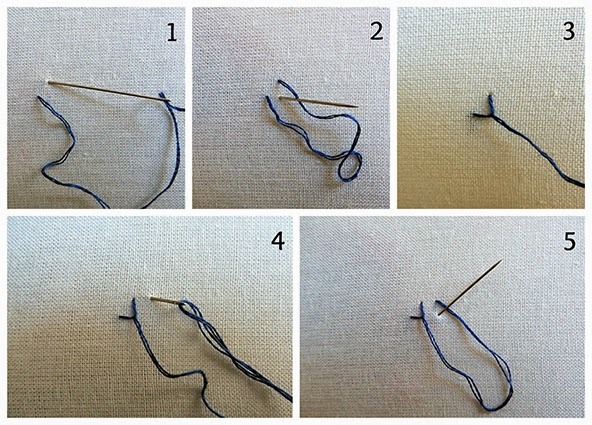 Bajo la aguja: el hilo queda delante de la punta de la aguja formando un anillo y se mantiene debajo de la aguja. 4. 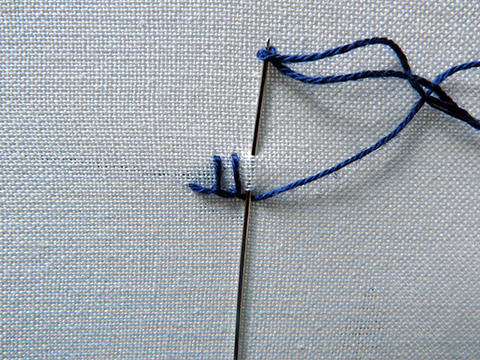 Under the needle: the thread is in front of the top of the needle forming a ring and it is kept under the needle. 5. Sobre la aguja: el hilo se mantiene encima de la aguja. 5. 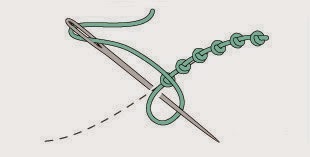 Above the needle: the thread is kept above the needle.